Welcome to this holiday home, set in an idyllic town called Saxtorp, inbetween Landskrona and Löddeköping. 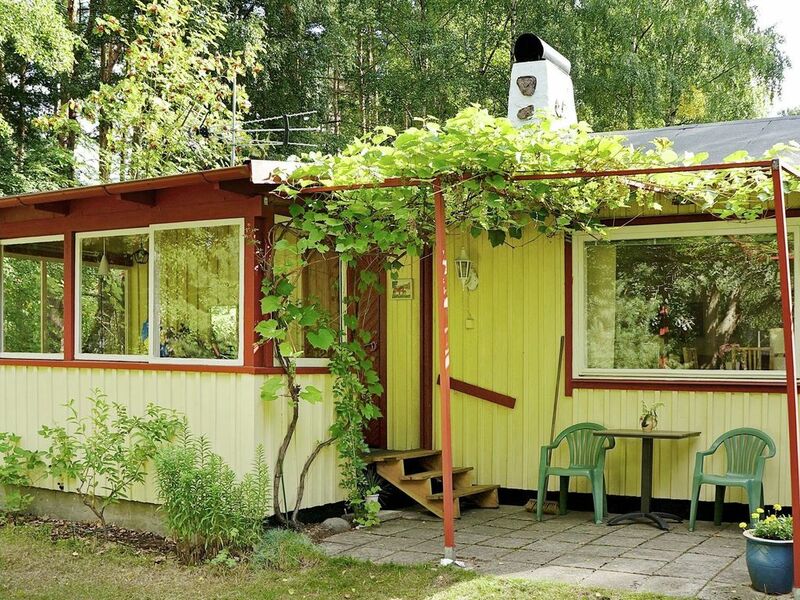 The house is set in a residential area and it is only 1,5 kilometres from the beach.You will be within driving distance of many interesting towns and cities, such as Malmö, Lund, Landskrona, and Helsingborg. The house is well kept and features a small kitchen with the necessary amenities. In the cosy living room you'll find a comfortable sofa and an armchair, a TV, a DVD-player, an extra bed, and free wireless internet access. The bedroom features a double bed . There's also an annex with a bunk bed. The bathroom is also situated in the annex and you enter it directly from the outside. It features a WC, a washbasin, and a shower. In the delightful garden, you will find fruit trees such as apple trees, it is also not unlikely that you will find mushrooms. The nearest grocery shop is only 4 kilometres away and there's also a bakery, just two kilometres away. Why not try Princesstårta, one of Sweden's most popular desserts! If you enjoy golfing you can visit Barsebäck Golf Klubb which has two 18-hole courses. Or catch the boat from Landskrona to Ven, a beautiful island set between Sweden and Denmark. Welcome to a great holiday home in beautiful Skåne!